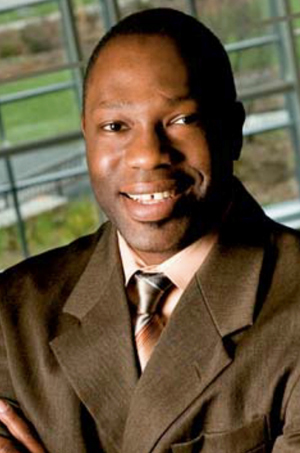 Guy-Uriel Charles is the founding director of the Duke Law Center on Law, Race and Politics. He is an expert in and frequent public commentator on constitutional law, election law, campaign finance, redistricting, politics, and race. He joined Duke Law's faculty in 2009; he previously was the Russell M. and Elizabeth M. Bennett Professor of Law at the University of Minnesota Law School. Professor Charles is co-founder of the Colored Demos blog,coloreddemos.blogspot.com, and a reviewer for Stanford University Press, University of Chicago Press, and NYU Press. He has published articles in Constitutional Commentary, The Michigan Law Review, The Michigan Journal of Race and Law, The Georgetown Law Journal, The Journal of Politics, The California Law Review, The North Carolina Law Review, and others. Professor Charles received his JD from the University of Michigan Law School and clerked for The Honorable Damon J. Keith of the United States Court of Appeals for the Sixth Circuit. While at the University of Michigan, he was the founder and first editor-in-chief of the Michigan Journal of Race & Law. From 1995-2000, he was a graduate student in political science at the University of Michigan. Professor Charles joined the University of Minnesota Law School faculty in 2000 and later served as interim co-dean there. He was named the Stanley V. Kinyon Teacher of the Year for 2002-2003. He has been a visiting professor at Georgetown, Virginia, and Columbia law schools. A past member of the National Research Commission on Elections and Voting and the Century Foundation Working Group on Election Reform, Professor Charles has served as the director of the Institute for Law & Politics, a Senior Fellow in Law and Politics at the Institute on Race and Poverty, and a Law School Faculty Affiliate at the Center for the Study of Political Psychology, University of Minnesota. Guy-Uriel Charles is the founding director of the Duke Law Center on Law, Race and Politics. Please follow us on Twitter and Instagram @HULawJournal for updates and retweet our conference announcements using #Branton2018 and #HUSLReclaimingOurVote.